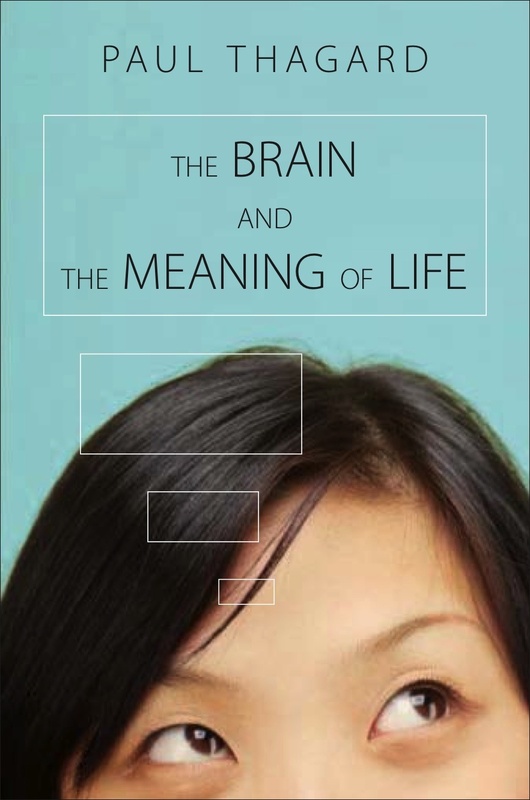 This is the Web site for Paul Thagard's book, The Brain and the Meaning of Life. The book is available from Princeton University Press, Amazon.com, Amazon.ca, etc. Blog post about p. 99. Psychology Today blog post: What makes life worth living? Amanda Gefter in New Scientist. Jean-Paul Baquiast in Automates Intelligents. Links to cited Web sites, checked Sept. 1, 2009. Martin Seligman remarked that the three great realms of life are love, work, and play: http://www.apa.org/monitor/aug98/pc.html. Philosophers have sought wisdom for thousands of years: For philosophical work on wisdom and the meaning of life, see Klemke and Cahn 2007, Flanagan 2007, and these Web sites: http://plato.stanford.edu/entries/wisdom/, http://plato.stanford.edu/entries/life-meaning/. Plato said that philosophy begins in wonder: Plato, Theaetetus, http://classics.mit.edu/Plato/theatu.html. I was walking across a bridge one day: This was the winner in a 2005 contest for the funniest religious joke run by http://www.shipoffools.com. Strikingly, this process can lead to the abandonment of beliefs previously held: See Thagard 1992 on scientific revolutions. For descriptions by many scientists of contemporary cases where they have changed their minds on the basis of evidence, see http://www.edge.org/q2008/q08_index.html. Scientific cosmology has found experimental support for the big bang theory: http://www.big-bang-theory.com/. The ontological argument of Anselm: http://plato.stanford.edu/entries/ontological-arguments/. Much philosophical writing assumes that thought experiments: http://plato.stanford.edu/entries/thought-experiment/. Philosophy can be experimental and theoretical in ways similar to science: On the recent upswing in experimental philosophy, see Knobe and Nichols 2008, Appiah 2008, and http://experimentalphilosophy.typepad.com/. Philosophers call the claim that states and processes of the mind are identical to states and processes of the brain the identity theory: http://plato.stanford.edu/entries/mind-identity/. It was not always obvious that brains have much do with thinking: For the history of neuroscience, see Finger 1994. A chronology is at http://faculty.washington.edu/chudler/hist.html. Many mediums and psychics have been exposed as frauds: http://www.skepdic.com/medium.html. The history of parapsychology, however, is not even moderately successful: Diaconis, 1978, Kurtz 1985, http://www.csicop.org/si/9603/claims.html. Some ancient Greek philosophers: http://plato.stanford.edu/entries/skepticism-ancient/. An influential current form of skepticism is found in postmodernist philosophers and literary theorists: http://plato.stanford.edu/entries/postmodernism/. According to bodily perception theories, your emotion is your brain’s response to such physiological changes, as expressed in a famous quote from the American psychologist/philosopher William James: http://psychclassics.yorku.ca/James/emotion.htm. The simplest but nevertheless valuable rule I have heard is Michael Pollan’s suggestion: http://www.nytimes.com/2007/01/28/magazine/28nutritionism.t.html. Philosophers such as Daniel Dennett and Owen Flanagan: Dennett 2003, Flanagan 2002. For an introduction to philosophical controversies about free will, see http://plato.stanford.edu/entries/freewill. An extensive body of research has developed in the past decade using surveys to identify the extent and the sources of human happiness: Deaton 2008; Diener and Seligman 2004; Easterlin 2006; Harris poll - http://www.harrisinteractive.com/harris_poll/index.asp?PID=900. Another study conducted by the Pew Research Center: http://pewresearch.org/pubs/301/are-we-happy-yet. According to a preliminary report, there are people who have experienced intense love for 20 years and still show activation in the brain’s ventral tegmental area: http://www.sciencenews.org/view/generic/id/38653/title/Still_crazy_(in_love)_after_all_these_years. In 2005, the average Canadian adult spent 5.5 hours per day on leisure activities: http://www4.hrsdc.gc.ca/indicator.jsp?lang=en&indicatorid=52. Psychologists Edward Deci and Richard Ryan: Deci and Ryan 2000, 2002. See http://www.psych.rochester.edu/SDT/ for many other papers providing evidence for their theory of self determination. Some philosophers such as Nietzsche: http://plato.stanford.edu/entries/nietzsche/. In 2008, the top 10 countries on the Human Development Index were: http://hdr.undp.org/en/statistics/. Another way to try to assess human needs satisfaction in different countries is to look at surveys of subjective well being that have made since 1981: http://thehappinessshow.com/HappiestCountries.htm. Figure 10.2 displays four commonly advocated views of such relations: This figure and a few sentences are taken (with permission of the Cognitive Science Society) from Thagard 2009, which contains further discussion. For a video of me talking about changing complex systems, see http://video.google.com/videoplay?docid=1880605980833989. Some relevant papers (see Thagard's web site for many more:. Litt, A., Eliasmith, C., & Thagard, P. (2008). Neural affective decision theory: Choices, brains, and emotions. Cognitive Systems Research, 9: 252-273. Thagard, P., & Aubie, B. (2008). Emotional consciousness: A neural model of how cognitive appraisal and somatic perception interact to produce qualitative experience. Consciousness and Cognition, 17: 811-834. Thagard, P., & Findlay, S. (forthcoming). Changing minds about climate change: Belief revision, coherence, and emotion. In E. Olsson (Ed. ), Science in flux: Belief revision in the context of scientific inquiry. Berlin: Springer. See Paul Thagard's blog for Psychology Today.